I was clearing up my desktop last night when I stumbled onto this screenshot that I took earlier in the school year. It was the beginning of third grade for my Ella and she came home super excited one day to tell me that she had her own blog, like me. She couldn't wait to show me. 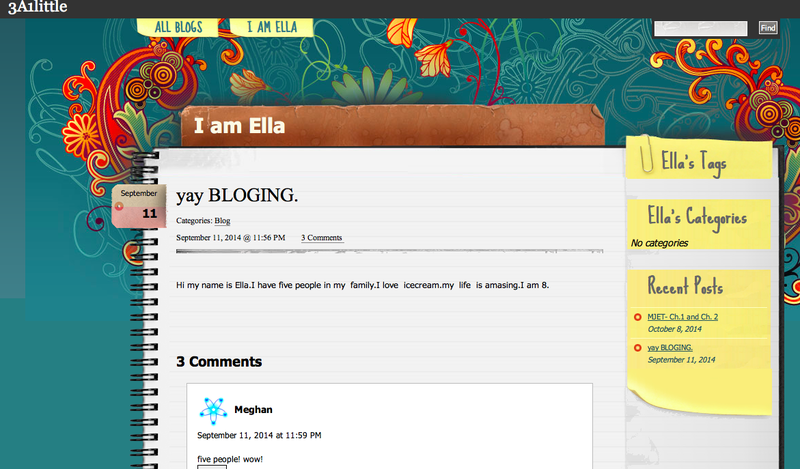 I loved that she called her blog I am Ella (kind of like I'm a Norbyah). But mostly, I loved what she wrote in her first post. Hi my name is Ella. I have five people in my family. I love ice cream. My life is amazing. I am 8. It captures her beautiful spirit so perfectly. She has a heart of gold.